The best coffee, cocktails, restaurant, and place to stay in Asheville. Vibrating with culture, community and food, Asheville North Carolina feels like a small town but offers big city choice. Located two hours away from the banking hub of Charlotte, Asheville is snugly fit in between the Blue Ridge Mountains. When our team arrived, we were in need of caffeine, breakfast, and power outlets. 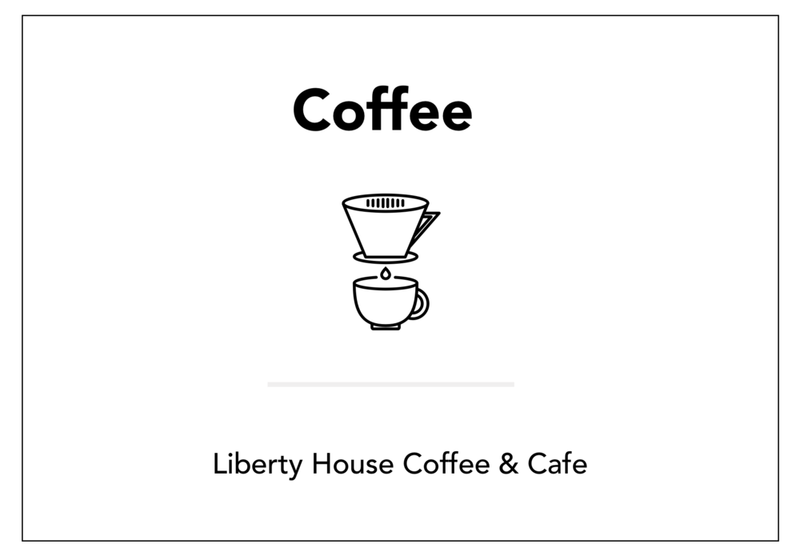 We visited a handful of coffee shops that all ranked high on Yelp, but by far our favorite cafe that struck our balance was Liberty House Coffee & Cafe. 1 mile from downtown, Liberty House is the perfect place to meet a colleague or dock up and work. The atmosphere is cozy, the combination of warm wood accents and large bay windows that allow natural light to pour in, help give the space a unique energy. Wifi is reliable and outlets are plentiful. If you need to hop on a phone call, there is gorgeous stone patio that has enough room to let you walk and talk. They locally source all their coffee and excellent unique coffee crafted beverages, their iteration of a London Fog, called Mountain Fog, is wonderful. (bonus for notnuetral coffee mugs). 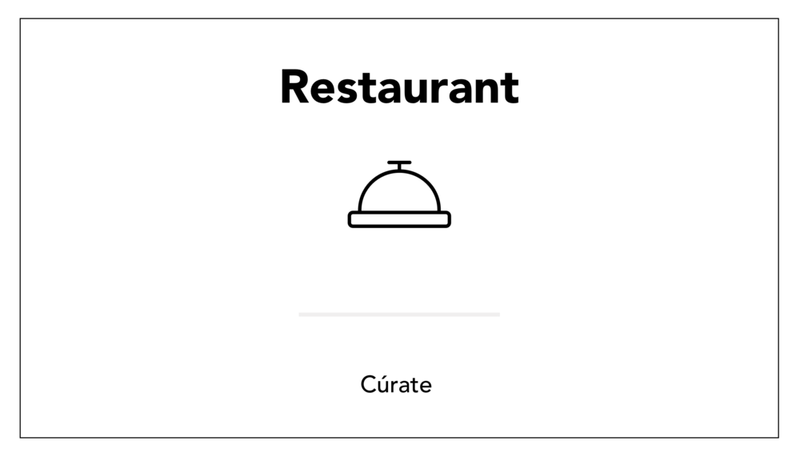 After you wrap up your work/meetings, head over to Cúrate for the town's best food and cocktails. If you’re in a smaller group or solo, sit at the bar. The kitchen is, for the most part, all behind the bar allowing you to see the execution first hand. It’ easy to get in during lunch but make sure to get a reservation for dinner. The menu is authentic Spanish tapas. If you have the time, order dishes in small groups and hang on to the menu in between these mini courses. The plates are some of the Tapas outside of Spain, so don't rush if you don't have to. If you are looking to get boozy, we are fans of their Negronis and Gin and Tonics (the Cava Sangria is also dangerous). 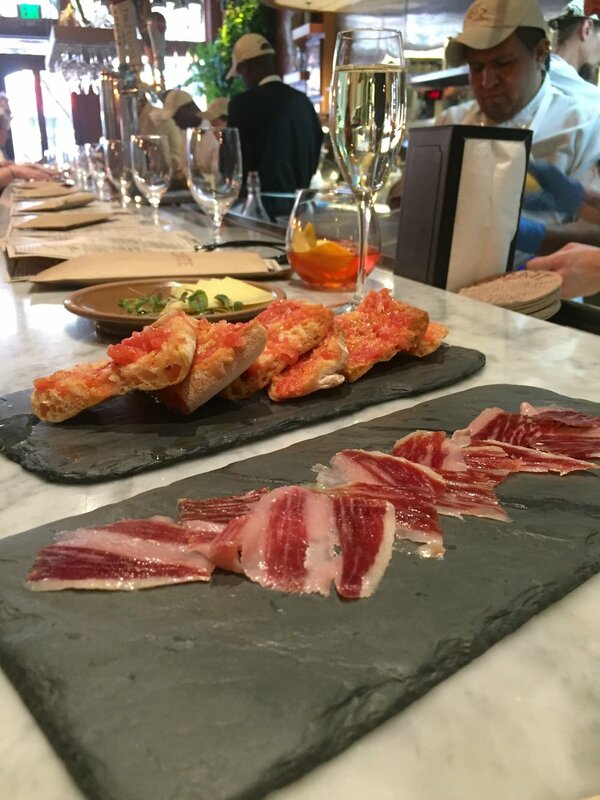 Can’t-miss items on the menu are the croquettes, pan con tomate with manchego cheese, jamon bellota, and squid. We had the honor to be able to catch up with Katie Button, the Executive Chef, to learn about her business and why she calls Asheville home. Read more in our interview below. Now, when looking where to stay in Asheville while on Business, there is only one choice. The Omni Grove Park Inn is the most stunning/historic hotel you will ever stay in ( it is listed on the National Registry of Historic Places). The hotel was built in 1913 by Edwin Wiley Grove and Fred Loring Seely and has quite an interesting backstory. We were taken back by the sheer size of the property as we approached. When you check in, it’s hard to miss the looming 36 foot stone fireplaces on each side of the hotel. The beds have quick access to usb chargers, reading lights, and have unique mattress toppers for extra comfort. After a deep refreshing sleep, head to the observatory to have coffee and breakfast overlooking the blue ridge mountains (bonus if visiting during the fall foliage). The highlight of this hotel is the 50MM, grotto-style spa that is located underneath the hotel. Descend down the stairs past the water fall and enter into the spa. You are shown to your respective locker rooms and adorned in plush robes. The staff gives you a full tour of the facilities which include steam rooms, saunas, cold plunge pool, hot waterfalls, outdoor hot tub, two relaxing pools, and a zen sand garden. You are allowed to leave and re enter as you please, our team spent 6 hours in the morning, left for lunch at Rhubarb in town and then went back for another 6. Cell phones are not allowed and service is non existent underground, so get your emails wrapped up before. Shout out to Tracey Johnston Crum who was the most gracious host during our stay. Tracey is one of a kind in her attention to detail for hospitality and has a true love/passion for the property and Asheville. If you are lucky enough to catch her in between meetings, ask her for local tips/recommendations! Rooms typically go for $169- $429 a night and sell out quickly. If your stipend does not extend enough for you to spend a night, we highly recommend visiting and booking a treatment to access the spa. If you are looking for a hotel in downtown, we also recommend the Windsor Boutique Hotel. At 24, Katie was one of two people admitted into a prestigious neuroscience doctoral program offered in collaboration by the National Institutes of Health in Bethesda, Maryland. Prior, she earned a degree in Chemical Engineering from Cornell and a masters degree in Biomedical Engineering. Two weeks before she was going to start, Katie realized that being in a kitchen gave her more happiness than being in a lab. She dropped out and picked up a server job in a restaurant. Katie trapeze'd herself through kitchens such as Jean George in NYC,Jose Andres’s Bazaar in L.A and finally landed a job ended working at elBulli in Spain. In-between managing two restaurants and a book tour, she found time to sit down with us to speak about lessons learned along the way. Q. How did you deal with the uncertainty switching careers? I was certain that I did not want to stay on my current pre-defined path, so the thought of continuing on was more scary than the ambiguity of the unknown. Its funny, when we come to these crossroads in life we often assume it will be stressful and complex however, I found the opposite. It turns out these uncertain moments in life help bring true clarity...you get to allow yourself to ask what if. This was the first decision in life I made completely by myself, I restrained from asking guidance from mentors, friends or family because I knew they would convince me otherwise. Ultimately, having confidence in myself and knowing my capabilities, I knew things would end up ok...I have never been scared of failure. I'm a student through and through;this was just another topic I could apply myself to learn. Q. What are the keys of building a successful business? A team you trust is a vital component of a successful business. We have four equal owners (all family). each of us have different, complementary skills that, when we work together, allow us to bring out the best in our food and atmosphere. Although many advise not to go into business with family, it has worked out tremendously for our team. I always know that they have my best interests at heart. Another important lesson is clear role definition and accountability for leadership and staff. If you can be proactive in addressing questions, business can move that much quicker.